This is one of the easiest levels in the single player missions. Destroy the Air Defense and deploy your Balloons. Destroy the Air Defense in the upper corner. Deploy a single Wall Breaker at the Air Defense. Place a single Giant, then a Wizard behind him to fight the Air Defense. Once it is down, clear the rest with a Balloon or Minion. 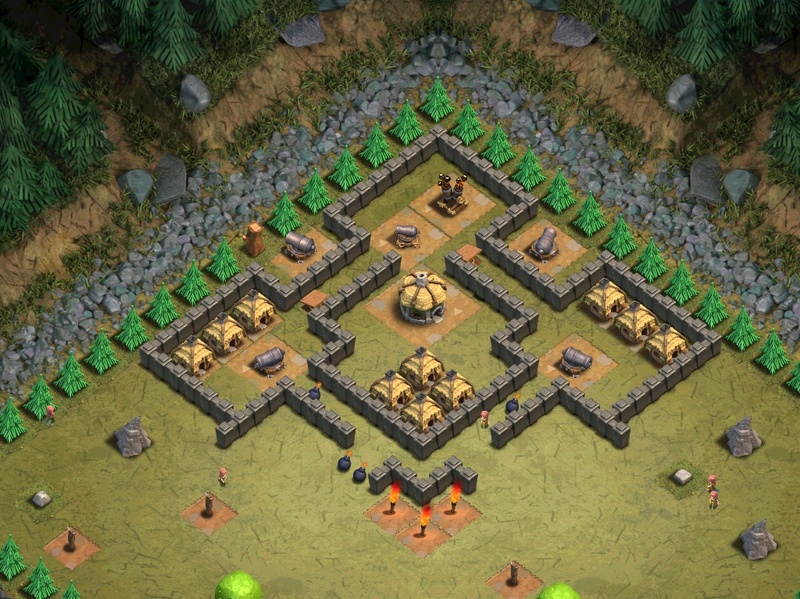 Note: There is a Gold Storage surrounded by golden walls near the middle of the map. It is protected by 4 Hidden Teslas.